The holiday season is one of the most awaited times for everyone, especially our eCommerce store owners. When others lay back and click away orders, you need to run around and seamlessly make deliveries on-time, every time. The 2014 holiday season has recorded $102 billion sales, so it’s necessary to keep your site up and running smoothly to avoid losing sales or worse – Your Customers. To ease our eCommerce and mCommerce client’s worst nightmares, we’ve decided to offer custom 24/7 customer support packages from Nov 24th – Jan 5th. Will I Need This 24/7 Support? It’s better to be prepared and have a backup plan during this peak holiday shopping season. Last year, we had a couple of major issues with our client’s eCommerce website and had to jump in to fix a huge bug in their online store. Our client lost a lot of money by not being properly prepared. This year, we’re pushing our clients to be proactive and be prepared. During the unfortunate event of having your site down, we will provide instant support to help you online again. What Issues You Might Face? The biggest and the most probable issue is server overload. It can bring down your site entirely or hinder its performance. Hackers are always on the lookout to compromise websites during the peak season. Being unaware is even more dangerous and a frequent security check/code monitoring is a must to have a smooth run. Technical functionalities can fail due to plenty of reasons and issues might arise due to improper usage of back-end functionality. A quick call will us can immediately help get you back on track. Your website must load in less than 3 seconds or mCommerce app in 6 seconds, else say good bye to your users. During the peak time, websites are prone to be slow and optimization is essential to run your site efficiently. Your payment or shipping portal can stop working for seemingly no good reason. Give us a call and we’ll guide you through the process, getting you the custom help you need. Interesting note: 80% of our client’s emergency issues can be handled through calls! 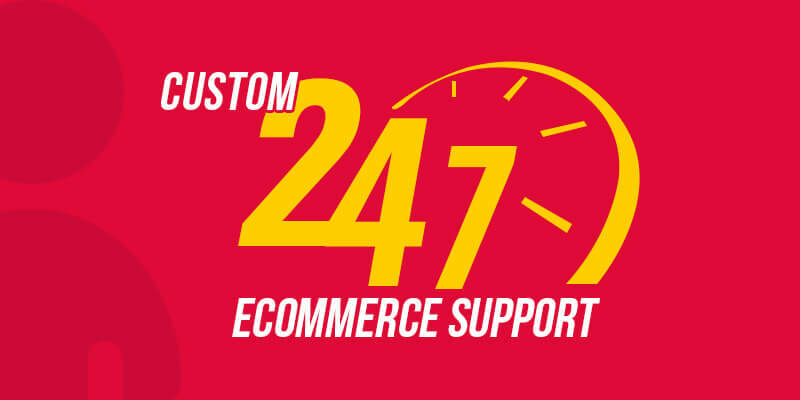 Take advantage of our custom 24/7 support from Nov 24th – Jan 5th and have a carefree eCommerce holiday!